At least 17 people were killed and three injured after a fire at a hotel in Delhi's congested Karol Bagh area early this morning. A woman and a child, among those dead, were killed when they tried jumping from a window after the Karol Bagh hotel fire, reports said. 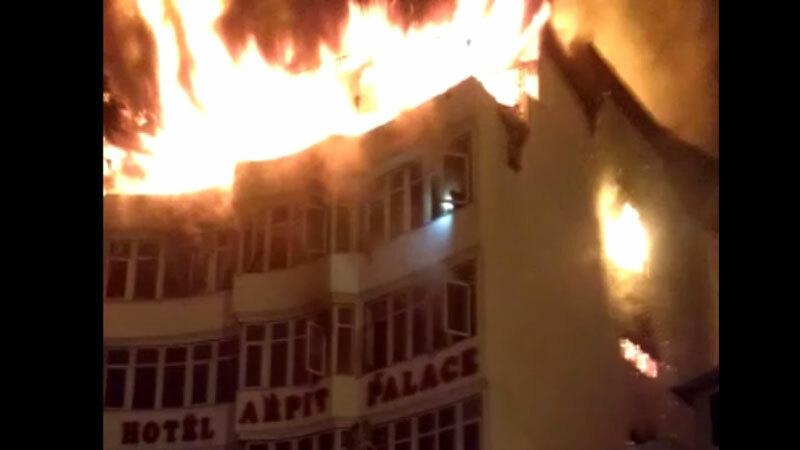 More than two dozen fire engines were sent to the spot after the fire broke out at Hotel Arpit Palace around 4 am. Most people in the hotel were sleeping at the time. A person is seen dangling from the terrace and then jumping off. Most of the deaths took place due to suffocation, the police said. Karol Bagh, in central Delhi, is popular with tourists and lined with hotels and markets.